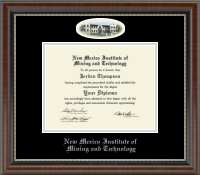 DIPLOMA FRAME-NMT-CAMEO Product Information •Features artwork of Brown Hall by renowned Eglomisé Designs Inc.® It is presented in double black and silver archival matting in our Chateau frame with a rich French walnut finish and coordinating inner lip accent. •This frame fits a Bachelor's degree. • Document Size: 11"w x 8.5"h • Approx. Overall Frame Size: 20.3"w x 17.8"h • Includes our easy-to-use Level-Lock Frame Hanging System! Please select option for DIPLOMA FRAME-NMT-CORDOVA. 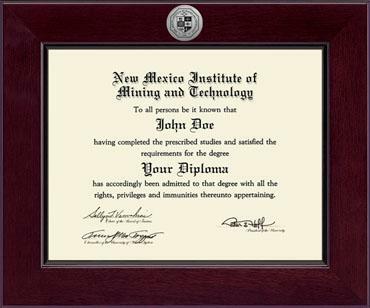 DIPLOMA FRAME-NMT-KENS GD Product Information •	Features the school name and official seal gold embossed on black suede and gold museum-quality matting. •	The Kensington Gold moulding is crafted of solid wood with a cherry finish and gold inner bead. •	Document Size: 11"w x 8.5"h •	Approx. Overall Frame Size: 18.5"w x 16"h •	Includes our easy-to-use Level-Lock Frame Hanging System! Please select option for DIPLOMA FRAME-NMT-KENS GD. 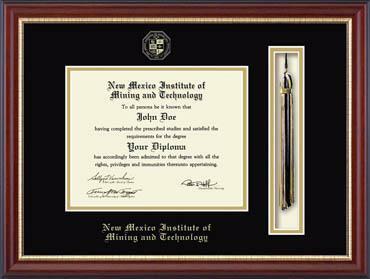 DIPLOMA FRAME-NMT-NEWPORT Product Information •	Allows you to display your school tassel in a special shadowbox opening alongside your diploma. The black and gold museum-quality matting features your school name and seal embossed in gold. •	Our Newport moulding is crafted of cherry with a deep-profile, black accents, and gold inner lip. •	Document Size: 11"w x 8.5"h •	Approx. Overall Frame Size: 21"w x 15.5"h •	Includes our easy-to-use Level-Lock Frame Hanging System! 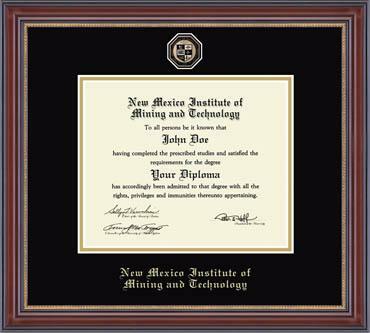 Please select option for DIPLOMA FRAME-NMT-NEWPORT. Please select option for FRAME-NMT-KENSINGTON.